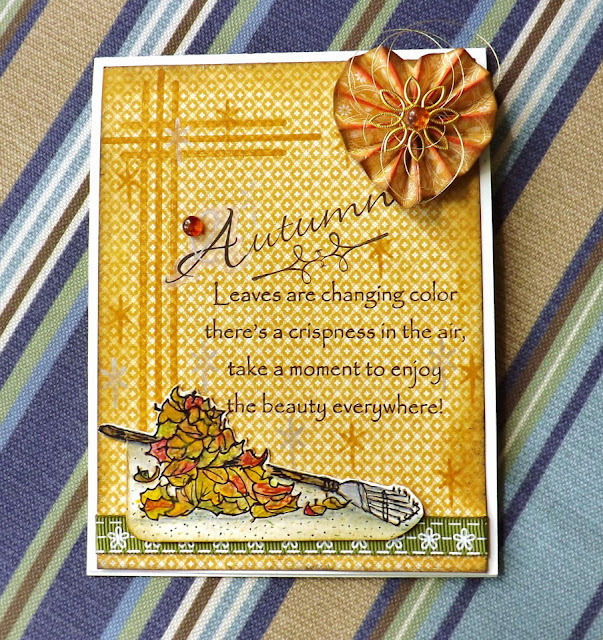 Use A Stamp And Blog Hop Challenge. 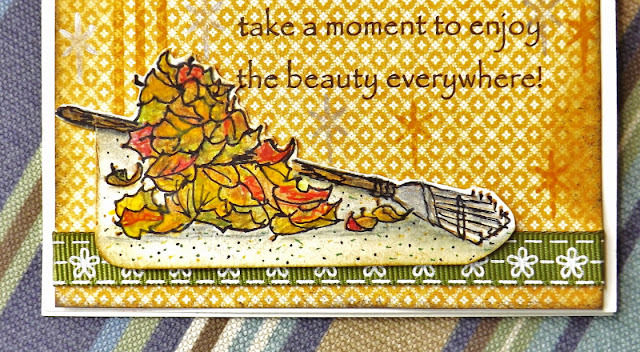 Papertrey Ink, DRS Designs and Arts Impressions. Also a monogram sticker from the Dollar Store and Glass Beads from "The Robin's Nest". You such beautiful cards. I love your soft sweet style. It would be a blessing and an honor to have you stop by our challenge blog to share your wonderful cards in our challenge. I hope you will stop by to play along with us. Your card would also be perfect for our current challenge at Really Reasonable Ribbon. You are most welcome to share with us there as well. I'd love seeing your creations shared in all these challenges. Your art is quite lovely. 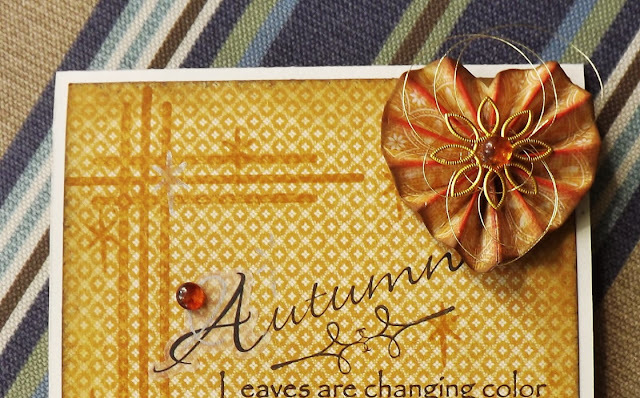 Such a pretty card for Autumn, Vada! I love the little corner rake image and of course all those pretty bits and pieces! Hope you are enjoying the changing weather! Hugs!